DID you know cats can become fertile from four months of age? And a single female feline can produce an average of three litters of kittens per year. That’s why The Lost Dogs’ Home’s Microchipping, Adoption, Desexing, Information van (MADI), is so important. 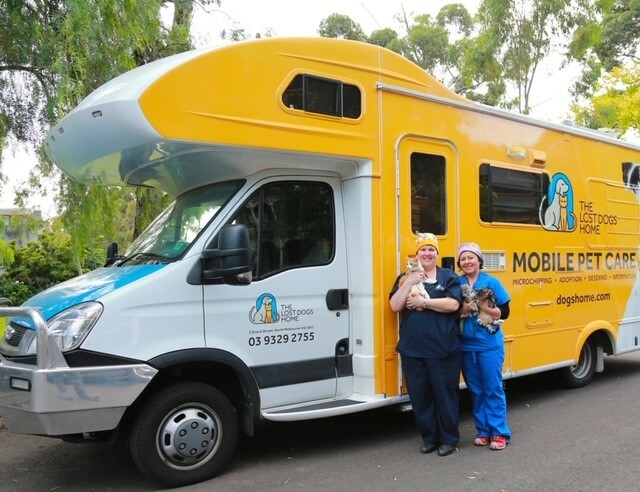 Celebrating three years on the road next month, the fully-equipped mobile vet surgery has desexed more than 3100 cats and kittens at a low cost. The majority of those cats are aged between six months and three years. Community Outreach Coordinator Sarah Symons says the service has proved popular, with events booked out well in advance and waiting lists now in place. “Our council and rescue partners have been very supportive of the initiative, with the majority of councils re-booking multiple events on our schedule,” says Sarah. More than sixty events have been staged in partnership with 15 Councils and two rescue groups, with areas ranging from Sunbury, Werribee to Cranbourne. There was even a ‘Desexathon’ with Maneki Neko Cat Rescue, where 174 cats and kittens were desexed across a 10-day event last year. Importantly, 90% of cats received an identification microchip through MADI, while 10% were already microchipped. Lost Dogs’ Home Cattery Coordinator Amanda Smith says, sadly, too many cats come into the shelter without a form of identification. “Without a permanent form of identification, shelters are limited in helping to find the owners of lost cats,” Amanda says.